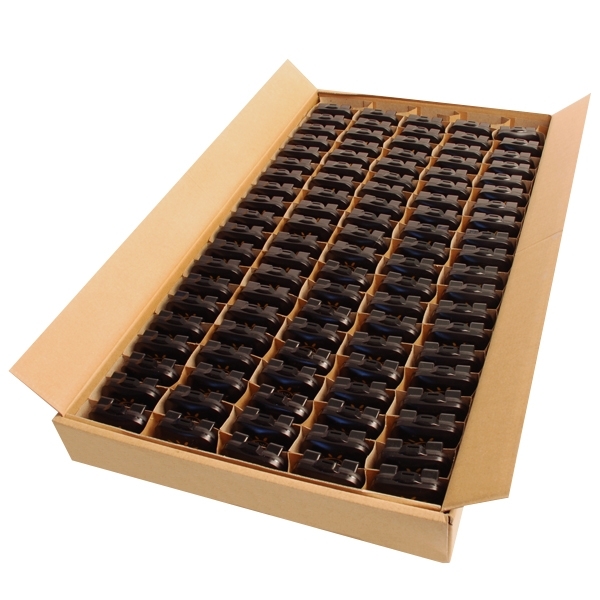 Purchase a box of 100 & save! Choose the model from Choose your options. 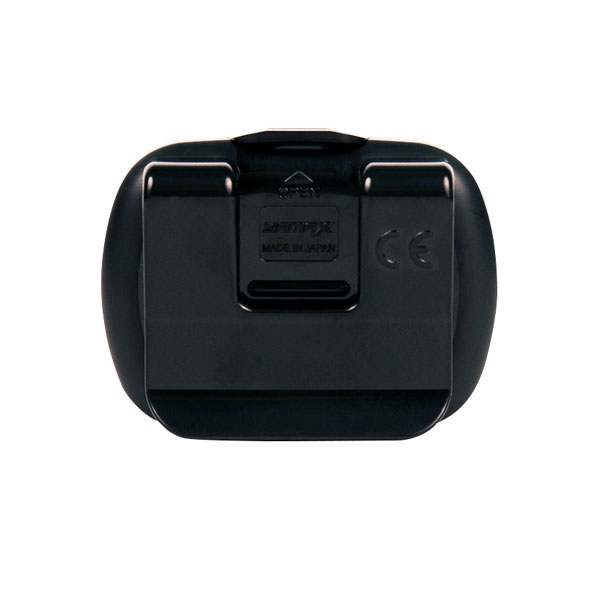 Each model's functions are given below in the DESCRIPTION section. Need security straps or calendar logs? Easily add them; simply check the box(es) in the "Choose your options" section below & then click UPDATE PRICE & then ADD TO CART. Click View Quantity Discounts to view discounts on additional quantities of 100. 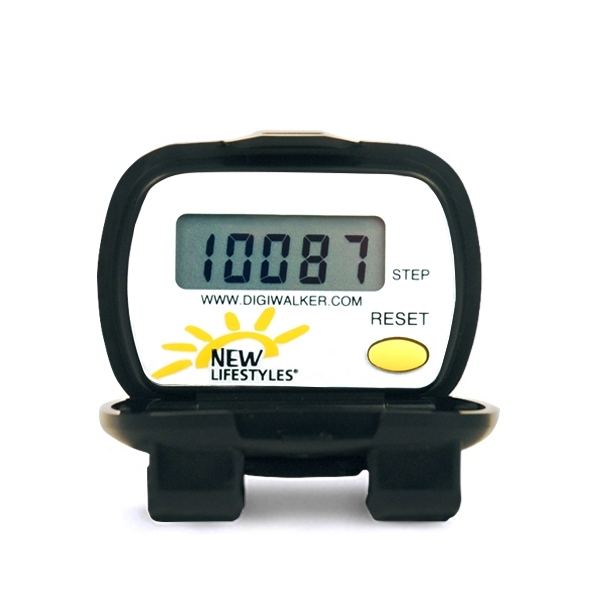 The SW-series DIGI-WALKER™ pedometers are an excellent choice for anyone looking to improve his or her health. The internal sensor mechanism uses a coiled spring-suspended lever arm, and therefore it counts best on those who are not overweight or obese and at speeds greater than 2.5 mph. 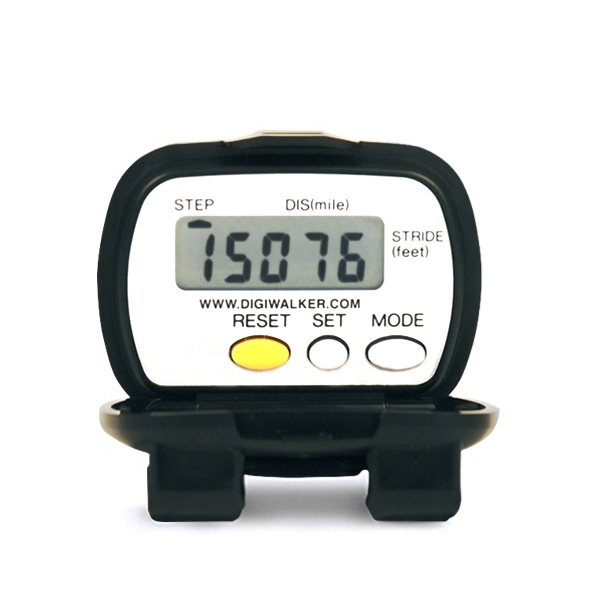 If you are overweight or if you walk at speeds slower than 2.5 mph, then opt for either the NL-800 or NL-1000 piezoelectric accelerometers or the NL-2000i 3D accelerometer.